An Ohio-based grocery store has pulled a beer called “Sweet Baby Jesus” off its shelves after customers complained about the name of the product. The Heinen’s Grocery Store will not restock the beer in their stores in Illinois or Ohio. “A rep at Heinen’s confirmed the beer was pulled, but Marketing Director Kathryn Falls said it was a non issue and the store had no comment,” reported Marc Bona of Cleveland.com. 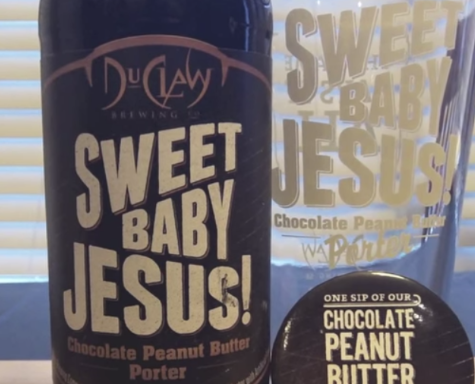 The beer, made by DuClaw Brewing Company in Maryland, combines chocolate and peanut butter flavors and was named for the positive response it got at first taste. DuClaw founder Dave Benfield said that the beer’s name was not meant to offend anyone. “While we understand that some people may not be happy about the name, it’s never our intention to upset or offend — our focus is making great beer that people enjoy,” Benfield said. The brewery founder said he was not upset by the grocery store’s actions and the beer has had an overall positive response in Ohio. “Just wondering, since you are folding to some ridiculous people and pulling Sweet Jesus Beer, I want to know if you are also pulling Devils Food Cake and Angel Food Cake?” posted one person.